Dubai’s non-oil private sector showed a stronger improvement in November with data reflecting faster expansions in business activity and new work and a stable trend in employment, said a report. The three main sectors monitored all registered stronger performances, with construction seeing the fastest growth, said the Emirates NBD Dubai Economy Tracker. The seasonally adjusted Emirates NBD Dubai Economy Tracker Index – a composite indicator designed to give an accurate overview of operating conditions in the non-oil private sector economy – posted at 55.3, up from October’s 31-month low of 52.5 and the highest since June. The latest figure was broadly in line with the long-run trend level since January 2010. The current phase of expansion now extends to 33 months. Construction was the strongest-performing sector in November (57.5), followed by wholesale and retail (55.4) and travel and tourism (52.8). The survey covers the Dubai non-oil private sector economy, with additional sector data published for travel and tourism, wholesale and retail and construction. Commenting on the Emirates NBD Dubai Economy Tracker, Khatija Haque, head of Mena Research at Emirates NBD, said: “The headline Dubai Economy Tracker Index climbed to 55.3 in November, up from 52.5 in October. This marked the strongest reading in five months, and something of a recovery following the October reading, which was a slump to the lowest level since March 2016. Nevertheless, the index remains shy of the 2017 average (56.0), and there remain weak points within the data. “Output saw a substantial improvement last month, climbing from 56.5 to 61.1. New work also rose at a faster rate, at 59.9, up from 54.5 in October. However, this is being supported by ongoing cuts to output prices by firms, which fell to 45.8 in November, the second-lowest reading in the eight-year series. At the same time, input prices rose at a faster rate, from 52.1 in October, to 54.1 last month. As such, margin pressures on firms continue to intensify. Employment made a modest return to expansionary territory at 50.2 last month, following two consecutive months of sub-50.0 readings, but only 2.9% of respondents saw an increase in headcount. Output in Dubai’s non-oil private sector increased at the sharpest rate since August, as companies reported good market conditions and successful promotional activity. Moreover, the rate of expansion was greater than the trend for 2018 so far, and the historic series average (since January 2010). The construction sector saw by far the sharpest increase during the latest survey period. November data signalled a stable trend in non-oil private sector employment in Dubai. This followed a two-month period of mild job shedding. Construction firms reported a robust increase in headcounts. There was a further increase in incoming new work during November, extending the current phase of growth to 33 months. Moreover, the rate of growth accelerated from October’s two-and-a-half year low to the strongest in five months. Marked increases were reported in the construction and wholesale & retail sectors, while growth resumed in travel and tourism, the report said. Despite the faster gains in output and new business, growth expectations eased from October’s record high in November. That said, confidence remained at an elevated level overall, it added. 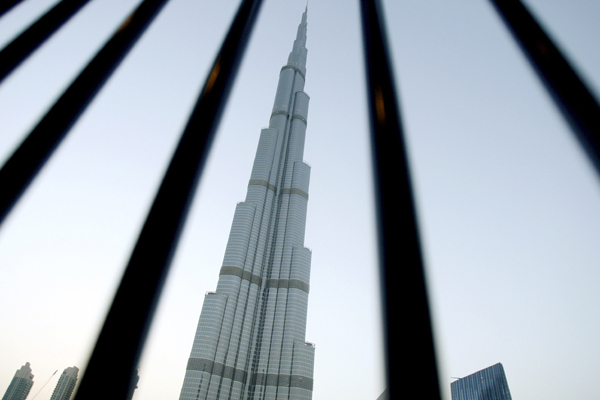 Average cost burdens for Dubai non-oil private sector firms rose for the eighth month running in November. Furthermore, the rate of inflation accelerated to a seven-month high.